thanks for comments guys. if people want i can make these up. just will need the holder to do it. Mate put me down; I'll pay post, time, effort, materials. Just hit me a PM please. Antranik's gauge holder i made for him. just wanted to post up a pic to show the difference in covering it and painting it. you can see the angled view a bit better by painting it. hope you enjoy it mate. thats sweet, how much in the end? how much do you charge to make these up? 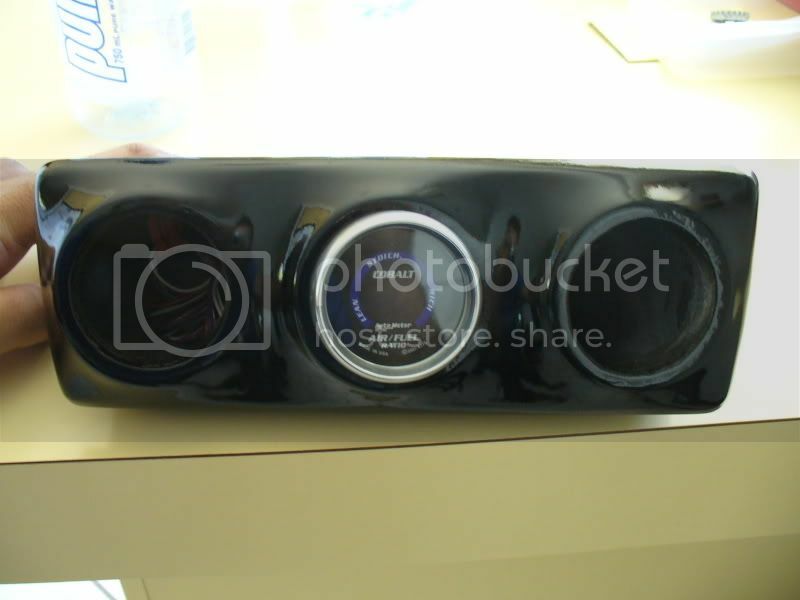 charged antranik $150 thats including materials and labour, plus express return postage. 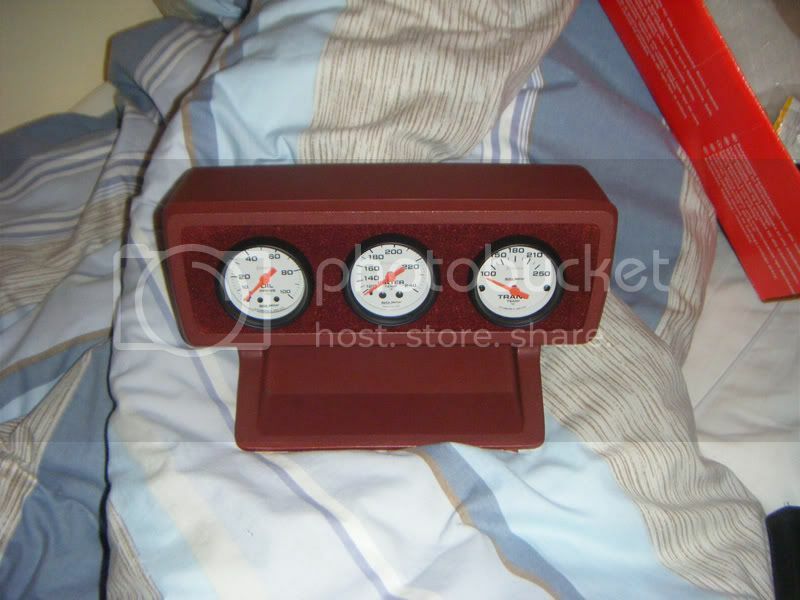 he supplied sunglass holder and gauge for fitment and payd for postage for teh stuff to me. so yer ill do these holders for that price all the time for people. that is a painted price depending on which paint you want done. however if you wanted valour type material coverd it will cost extra for the material or just send me the material with the holder. if you want vinyl coverd then it will be material plus extra for the glue that is needed. this is because i will need to get the gauge to a perfect state good enough to paint as if there is any little dents or stuff on teh holder it will show through on the vinyl. so there is the spray putty cost plus the glue cost where the valour is only glue no spray putty. Last edited by whiplash; 20-03-07 at 18:17. This guys work is tops. Every attention to detail as you can see and very happy with it. Looks like I've found myself something to do on the weekend. However, it won't look good with only 2 holes.. So 3 it is, but what fills the 3rd hole, I've got boost/vac and a/f - what does everyone get for the 3rd. Yes but its messy, hard to use first time. Lots of trial and error. When I foamed my boot it was a total mess but did the job. After doing the boot I went onto the inside of the doors and learnt how it worked. If i did what I did to my boot the windows wouldn't go down today. did u angle the gauges or they faceing centre?? WOW!!! that looks perfect, like it was there from standard. excellent work!! cheers guys. 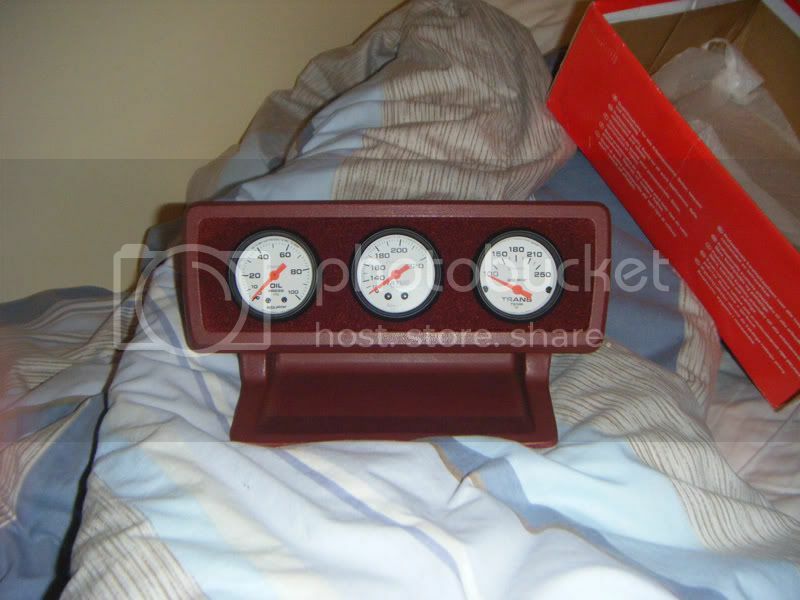 the gauges are just staight, i didnt bother angling them, there easy enough to see. great work mate any chance of getting the pics up again???? anyone got the pics from the first post?